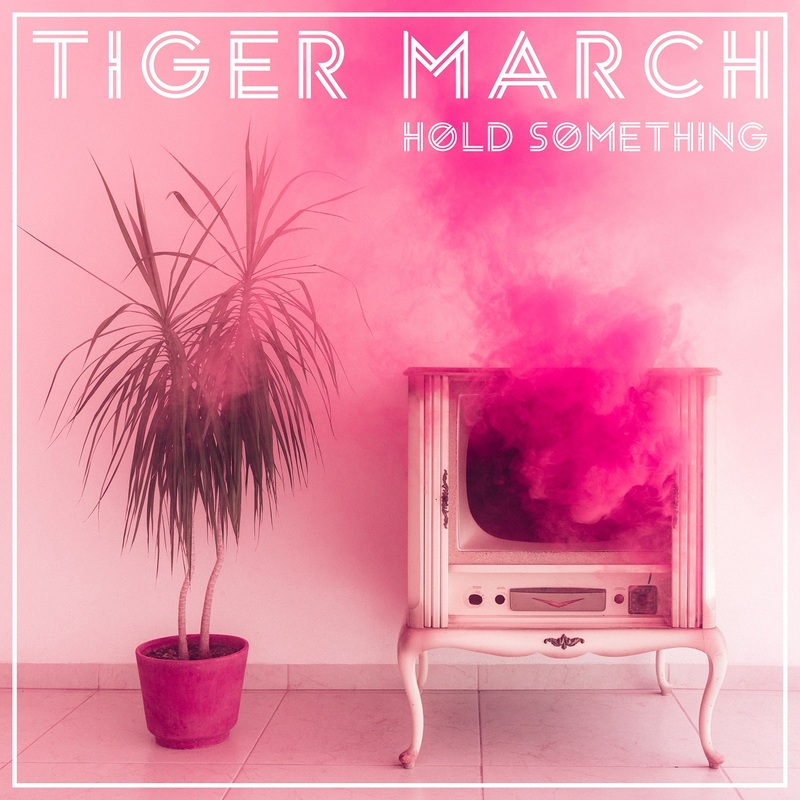 Euphoric, sugary energies bubble over in expressive synthpop anthems on Tiger March’s debut album Hold Something, a journey of bright sonic swells and intense, dynamic emotions. 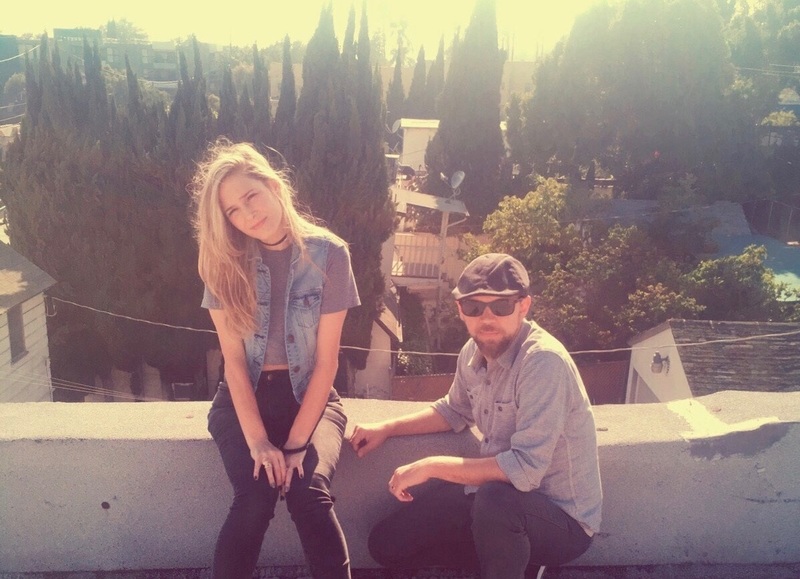 Forming through a Craigslist post four years ago, Tiger March was a band long before it was a love story: Annie and Matthew connected over shared tastes in music and a desire to craft something unique together. Their debut album Hold Something, independently released 3/23/2018, is a bustling montage of moments and memories that capture their individual and shared emotional journey. that i have; do you wanna? The glitz of CHVRCHES and the pop of The B-52’s come together in Tiger March’s music, which manages to seep a little light into even the darkest moments. Euphoric, sugary energies bubble over in expressive synthpop anthems that dazzle our ears in just the same way that the band’s pink-laced album art mesmerizes our eyes. Experience the full record now, and dive deeper into Hold Something with Atwood Magazine as Tiger March go track-by-track through their debut! “Could You” is a song inspired by Matthew. I (Annie) sat down with an acoustic guitar one day early on in our relationship with the intention of writing a love song. “Could You” is a playful refrain that is both a question and a command. The song is one of our most feel-good, upbeat, dancey songs and it’s a favorite of ours to play live. “Missing It All’s” large drum fills and resounding chorus give it an anthemic feel in contrast to its quiet subject matter. People are most often surprised to hear the song was inspired by a religious pamphlet left at Annie’s doorstep. “Missing It All” was the first song we did together where we felt like we found our sound. “Either Or” is one of the more narrative and predominately retrospective songs on the album. It is as much a reflection on love, and the ending of it, as it is a reflection of the landscape it occupies. For Annie, the song begins in a shimmery winter and ends on the coast with fragments of memory and self left behind. “Hold Something” was inspired by a guy who told Annie he didn’t like her music during a very romantic date. When Annie later told me about it, he wagered the relationship would last two months tops. Hopeful of yielding better results, Annie went on to a write a song about the experience. The song, as the only remains of that one month-long relationship, has served as the catalyst for many jokes. I (Annie) left LA for about a decade and discovered friendships that I had counted on “being there” when I came back were essentially hollow. “Nobody” is that bitter and liberating conversation you have with yourself when you acknowledge history is no longer enough to sustain a relationship. The song started with music Matthew wrote. I added lyrics and melody thereafter. The guitar sounds are heavily influenced by Robin Guthrie’s Cocteau Twins sound. I (Annie) dated someone for a long while who, after a trial of long distance and living together, essentially left over a holiday and never really came back. “Leaving,” was inspired by the many dead-end conversations we had about that act. It was one of the first songs Matthew and I worked on together and it was one of the first demos I sent him while I was still in San Diego trying to meet other musicians to collaborate with. “Constellations” is about lust and love and going for it even if you think (or you know) it will end. It’s a bit of fatalism and hedonism bundled into one, which is why it’s one of the more rock-leaning songs on the album. “Beach Cities” is a song about the confusing and evocative interchange between memory and sound. Matthew’s got this sound machine that makes me think it’s raining every time I (Annie) wake up. We also used to live right by a freeway—It’s remarkable how much a freeway can sound like the ocean, which both is and isn’t comforting given I’m fond of the ocean but not fond of beach cities. Having lived in San Diego for a number of years, I learned the hard way of how defining and unmovable that essential attribute really is: You either are or are not a beach person. There is no getting around this basic fact.